An exclusive interview with Knicks legend Patrick Ewing. The Dream Team, 1992’s U.S.A Basketball squad, is widely known for its on-court dominance. But winning a gold medal is only part of the team's legacy. The footwear that the team wore is still being celebrated today, and helps keep the story of the legendary team alive for today’s generation. 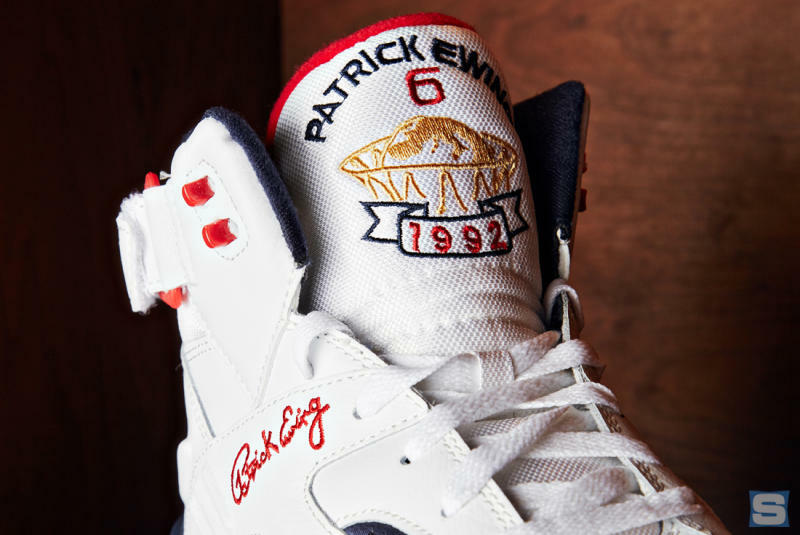 The latest Dream Team sneaker to make its return is the Ewing Eclipse, in the red, white, and blue colorway worn by Patrick Ewing in the ’92 Barcelona Games. It’s the first time in the 24 years since its debut that the shoe is coming back. 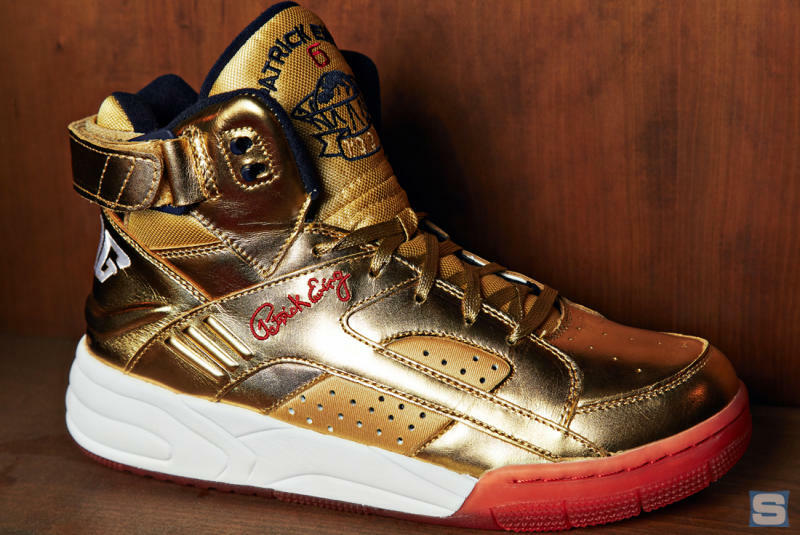 The latest chapter in Ewing Athletic’s resurgence will have even more artist and brand collaborations on deck. Ewing currently serves as the associate head coach of the Charlotte Hornets and made one of his first non-NBA-related trips back to New York recently to help promote the return of the “Olympic” Eclipse. We caught up with him to talk about the history of the brand, his time on the Dream Team, and how his sneakers are still a lucrative business—even more so than coaching. What did representing the United States of America on that grand scale of the Olympics mean to you as a basketball player. It means a lot. I was blessed to play in two Olympics—my first one was in ‘84, next one was in ‘92. Both teams were great teams, but the ‘92 team, in my opinion, was the greatest team ever assembled in terms of the cast that was on there. When I played for the Knicks I was representing the team, the Knicks, the people of New York, and the New York Knicks fans. When you’re playing in the Olympics you’re representing the entire country and that means everyone is out watching you—not only the fans in the city of New York, but the fans all over the country and world. You don’t think that there’s any Olympic team team that came after it that could possibly give the ’92 team a run at all? What would you say is your favorite memory from the ’92 Olympics? It was a great experience. I remember the first day we touched down in Barcelona and seeing all the people out there cheering and celebrating our arrival. I remember stepping up on the gold medal platform to receive my gold medal. I remember just all the battles and wars we had in practice to get each other ready. You’re bringing your Olympic sneaker back now, 24 years after it was originally introduced. Did you think it would ever come back? No. Hindsight is 20-20 right? Back when we first came out with this shoe, who knew that we were gonna bring it back and also the success of the brand? I think for the people, the fans, the sneakerheads, everyone who has clamored and asked for and requested the shoe, it’s been answered. I’m very proud to see that not only this shoe, but the brand as a whole is successful. I think these guys have done an outstanding job of slowly building the brand to the point of where it is right now. After wearing Nike and adidas you decided to start your own brand, and at the time it was the only independent sneaker brand out there by an NBA athlete. What motivated you to go out on your own after being under the umbrella of two huge sportswear giants? I wore Nike in college, then I wore adidas my first two years in the NBA. Things didn’t go well and we terminated the relationship. At the time I was thinking about wearing a plain shoe and figuring out what my next move was, then Roberto Muller [the founder of Pony] came to me with the idea of starting my own shoe company. I liked the idea so we decided to try it. We were very successful for a lot of years and then the shoe industry took a turn for the worse, and unfortunately we shut down the shop. Nowadays a lot of the NBA players are more business-oriented and thinking about their brand and what they’re doing outside of the game and after the game. Was that important to you back then? No, I wasn’t really thinking about it. When I played I was only thinking about playing. I just thought it was a great idea to come out with my own shoe when it was brought to my attention. I thought it was smart, I thought it was innovative, and I liked the idea. We were very successful at it. And at that time we were one of the top three or four in the industry. We weren’t as big as Nike or adidas but we held our own. And I’m very proud to see that all these years later, after all the bargaining and beating me up to try to convince me to bring it back, we’re back and we’re still very successful. Were you inspired at all by Michael Jordan having his own sneaker when you were putting your brand together? No. I mean, if we could hit a fraction of what Michael does, I’d be very very happy. When you look at an individual’s shoes and the success that he’s had—one I’m happy for him, but if we could get anywhere close to a fraction of what he sells we’d be very successful. In Barcelona when he was rocking his sneaker and you were rocking your sneaker, was there any little friendly rivalry about whose sneaker was hotter? [laughs] He gets on me now about my shoe but I tell em we’re doing extremely well. I think the shoe company is paying me a lot more than he’s paying me. 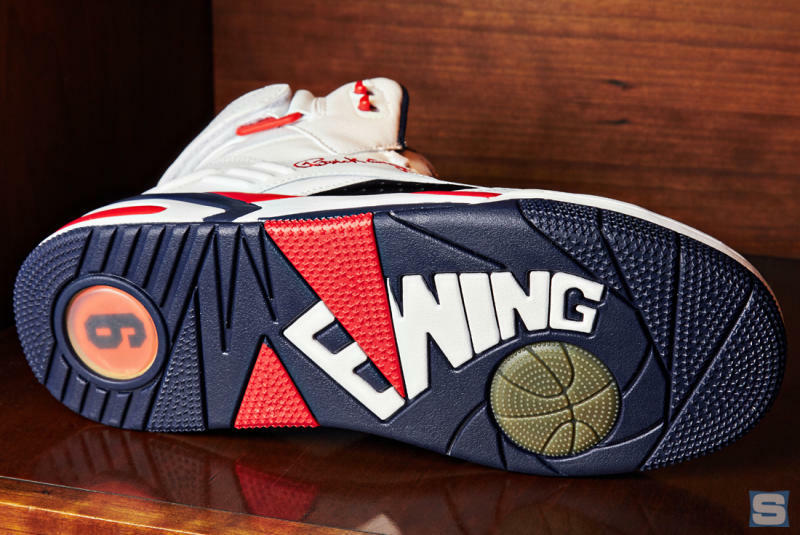 Would you like to put an NBA player in Ewing sneakers? At some point maybe. Depending on how it goes, if we continue to do well and keep on growing then I’m sure at some point we would love to do that. As part of the Hornets staff you get to interact with a lot of players today. 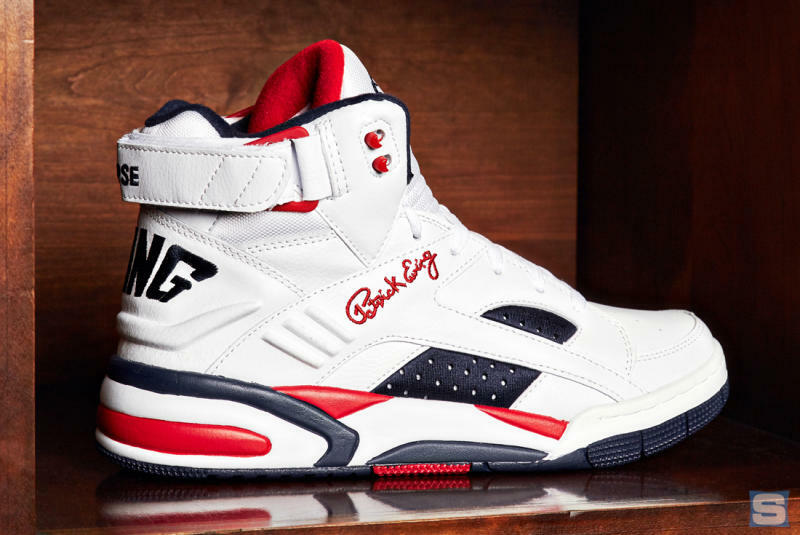 If there was player in the league that you could envision representing the Ewing brand, and wanting them to wear Ewing sneakers on the court, what NBA athlete would that be? Looking at sneakers and sneaker culture today, did you ever think that sneakers would be where they’re at? Going from just a performance product to hoop in, to being a complete lifestyle that millions of kids follow around the world? It’s always been there and I’m glad that it’s back. Like I said before, we were doing really well, then everyone started wearing Timbs, so it took a downward spiral. But now it’s back and the people are not only wearing sneakers to hoop in but to go to dinner in or they’re wearing it for every aspect and part of their day. Do you think that it’s possible today to do what you did, being that Nike and adidas are much bigger now than they were back then? Do you think that there’s room for a player to make his own brand and sustain it for 20-plus years? I think so—anything is possible if somebody has a dream to do it. Who am I to tell them that they can’t do it? And if somebody tells them that they can’t do it, now go for it and live your dream. Are you surprised at the amount of money athletes are making nowadays to push sneakers? [laughs] They’re making a lot of money. $300 million, $200 million—that’s a lot of money and a lot of shoes. I’m happy for them, and I’m happy for the fact that they feel like they can sell enough shoes to warrant that type of contract. Last question before I let you go. I know you said that you’re happy for the younger generation and the money they’re making, but what do you think about players like Kevin Durant going to Golden State? Are you also the type of person who is happy to see players do whatever they want? That’s what free agency is all about. That’s why the union fought in to keep free agency—it’s his decision to make for what’s in his best interest. If I’m a fan of the Oklahoma City Thunder, I’d be upset. But if he believes that that’s in his best interest to go to Golden State, then hey. Who knows if it’s gonna work? You’ve played for Team USA, you’ve played for the Knicks, you’ve played for Seattle and Orlando, but as New Yorkers we always say, "Once a Knick, always a Knick." Are you still a Knick? I’m always a Knick, I’m always a Knick, I’m always a Knick.